We evaluate walk-in patients of all ages by a licensed MD or DO. We treat a broad spectrum of illnesses, injuries, and diseases during all hours of operation. We offer extended services, such as X-Ray, laboratory services, and EKG. We perform minor procedures, such as sutures, splinting, cyst removal, abscess incision and draining on site. We have AED, oxygen, and the ability to perform basic life-support prior to a transport to a higher level of care. Monday through Saturday from 8am-8pm, Sundays 8am-4pm. If you are in need of emergency medical care for a critical or life-threatening illness or injury, please call 911 or go directly to the Emergency Room. To deliver exceptional, cost effective, physician directed health care with special emphasis on patient satisfaction and preservation of community based care. Steel Valley Express Care serves the nearby neighborhoods of Squirrel Hill, Greenfield, Regent Square, South Side, Swissvale, Swiss Helm Park, Hazelwood, Homestead, West Homestead, Hays, Munhall, and the Greater Pittsburgh Area. Steel Valley Express Care is certified and accredited by the Urgent Care Association of America as a Category 1 Urgent Care Center. Our Laboratory is certified by the Pennsylvania Department of Health and the Clinical Laboratory Improvement Amendments. We also serve as a Quest Diagnostic patient service center. Our X-ray department is approved by the Pennsylvania Bureau of Radiation Protection. 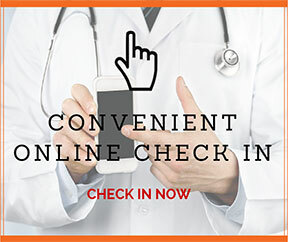 Steel Valley Express Care offers online appointment setting using ZipPass®. Simply click the link below, and you will be taken to the ZipPass® website to choose an appointment time.